The nature of culturally enriching field trips is that they are often to places that students don’t yet know they might enjoy. They produce significant benefits for students on several educational outcomes that schools and communities care about. 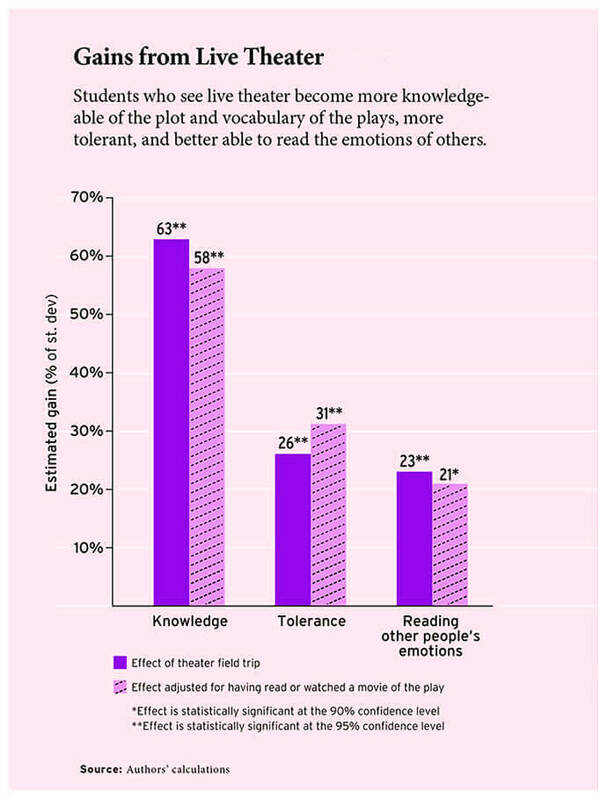 Experiments on the effects of field trips to see live theater demonstrates that seeing plays is an effective way to teach academic content; increases student tolerance by providing exposure to a broader, more diverse world; and improves the ability of students to recognize what other people are thinking or feeling. These are significant benefits for students on specific educational outcomes that schools pursue and communities respect. Not all learning occurs most effectively within the walls of a school building. Going on enriching field trips like the Rose Theatre or Roseneath Theatre makes effective use of all of a community’s resources for teaching children.